Member of the General Baptist State Convention of WI, Inc., a member of the National Baptist Convention, USA, Inc.
"And the Lord God said, It is not good that the man should be alone. I will make him an help meet for him. 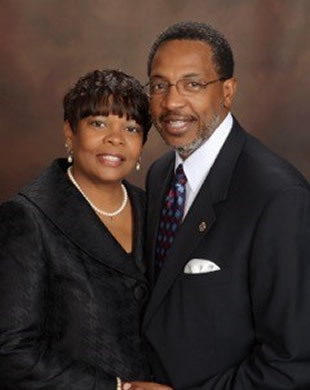 Reverend Dr. Garry Levy was called to pastorship at True Love Missionary Baptist Church on April 1, 2006. Pastor Levy has grown the ministries at True Love through much prayer, guidance of the Holy Spirit, and building of community relationships. He is a man with a humble spirit and a strong relationship with God. A man of integrity, Pastor Levy believes that our service to Christ is to be "Christ-like" to others in our daily walk of life. Dr. Levy has earned a Bachelor of Arts in Theology, and a Master of Divinity. In 2014, he received his Doctor of Divinity - Humanitarian Service. He is a powerful preacher/teacher. Dr. Levy is serving a second term as the President of the General Baptist State Convention of Wisconsin, Inc. 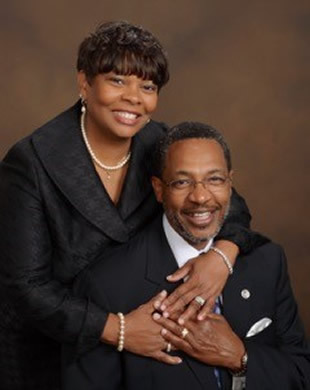 He has served in various capacities on the executive board of the state convention and is a member of the Ministers' Conference of Greater Milwaukee.He has been a nationally certified instructor for the Congress of Christian Education - General Baptist State Convention of WI, Inc. (GBCS) since 2000. 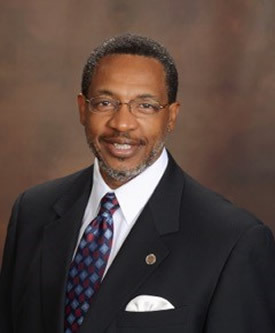 Dr. Levy is an active executive board member for the National Baptist Convention, USA, Inc. in 2014, he served on the presidential election campaign for the National Baptist Convention, Inc. supporting Dr. Jerry Young. Pastor Dr. Levy is a loving, devoted husband, father and grandfather. Mrs. Dr. Dessie Levy has identified Pastor as her "H-U-Z-B-A-N-D" and soul mate. The two are inseparable. Pastor and Dr. Levy have 2 daughters, 1 son, and 7 grandchildren. Pastor and First Lady Levy are a loving Christian (born again) couple, and willing workers of the church. Obedience to God's divine purpose is their focus.